A deck is the perfect place for entertaining, somewhere to relax and to enjoy our great outdoors. 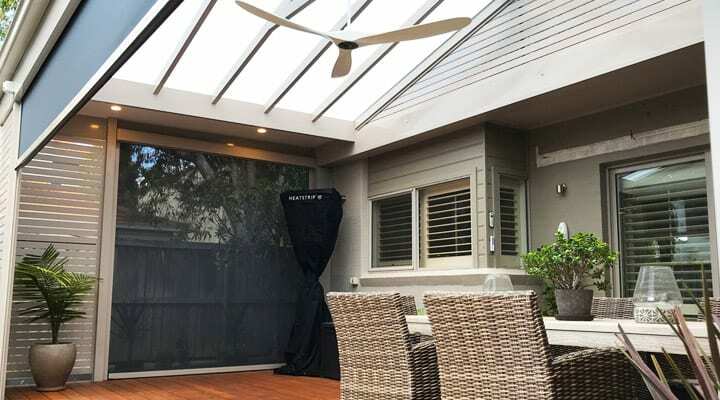 Pergola Land can build a deck to complement any home’s landscape and also construct it with a colour scheme that will look natural, yet stand out as a great feature to your home. The great thing about a deck from Pergola Land, is that you don’t need to look any further to complete your ultimate look. Not only can we give you a great looking deck, but we can supply and install with all the extras you need to complement it. We design your decking to complement your home and outdoor area. We don’t use ‘out of the box’ kits. 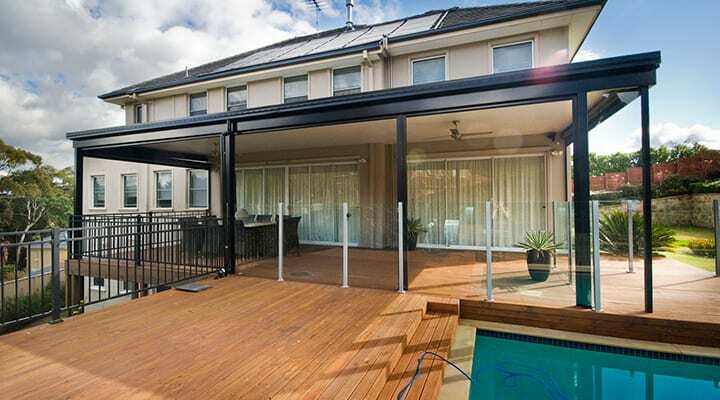 Pergola Land have build hundreds of custom decks across Sydney over the last 20 years, we know our craft! Hardwood timber offers the most beautiful feel to match your home and lifestyle. Our decking boards use a secret fixing system that is number one in the world. Say goodbye to unsightly screws and nails. Our decks are built on an engineered steel frame, ensuring strength and longevity. 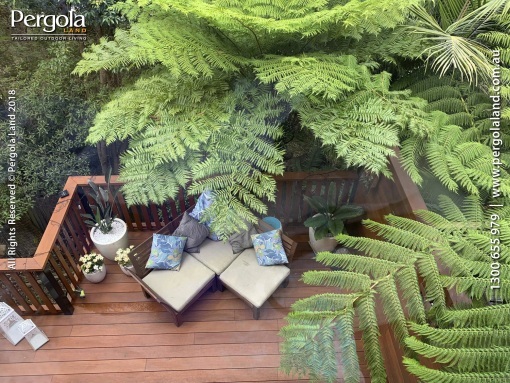 Aluminium decking offers the appearance and form of a natural hardwood timber deck, but with less maintenance. Our aluminium decking boards are available in a range of wood grain finishes and are Australian made. 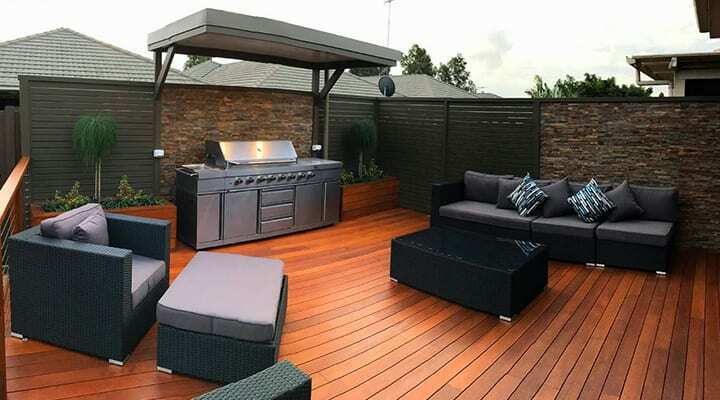 Unlike hardwood timber, aluminium decking is bushfire compliant, meaning you don’t need to give up on your dream outdoor entertaining area. Exterior floor system offered by Pergola Land that complies up to BAL FZ construction requirements. A solid deck floor, it features a long span steel joist structure with an exterior compressed fibre cement floor on top to provide a solid foundation for any type of inlay/tile option you’re after.